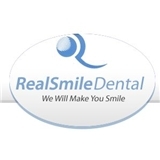 REAL SMILE DENTAL (Cliffside Park) - Book Appointment Online! Real Smile Dental, located in Cliffside Park, New Jersey (NJ), is the leading dental practice in Bergen County. Drs. Leonid and Alex Rubinov, are third-generation dentists, practicing dentistry both domestically and internationally. Real Smile takes pride in finding novel approaches to effectively treat even the most difficult cases that very few dentists can treat successfully. Doctor Leonid is a renowned dentist, an Assistant Clinical Professor at New York University's College of Dentistry and international speaker. Together Drs. Leonid and Alex Rubinov have perfected a unique treatment philosophy which allows patients to enjoy the best esthetic and functional results. Calling on their expertise in treating cosmetic, implant and orthodontic cases, along with the rehabilitation of TMJ disorders, they are able to treat the whole patient – not just teeth. Amazing, he was extremely knowledgeable and really made me feel comfortable with what options to pursue next for my treatment. I felt extremely welcomed as soon as I walked in from the receptionist who is the best! I also really love that they have late night appointments and weekend appointments. 100% lucky to have found my new dentist that's so close by and accommodating.